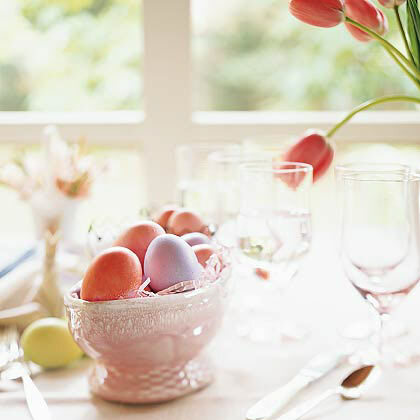 Easter and Southern lunches just aren't the same without deviled eggs. The finger food staple is relatively easy to prepare and is beloved enough to hold its own without any alterations. If you like your deviled eggs with a twist, though, we've got plenty, from pimiento cheese to herbs and crumbs and even shrimp with remoulade. With these deviled egg recipes, we guarantee your family, friends, and guests will relish every single bite. Add extra flair to your usual deviled egg platter with an array of tasty toppings to choose from. Boil and peel eggs a day before, or buy them precooked at the grocery store to save time. Two appetizer favorites team up for one incredible bite in these pimiento cheese-loaded deviled eggs. This fun twist on deviled eggs is a nice change-of-pace dish for your next picnic or cookout. With just a hint of tang and spice, you could probably even trick your non-foodie friends into eating one. For this super simple dish, try to use older eggs—they will peel more easily. Look for togarashi in the same place you buy miso. Ryan Pollnow, the chef at the San Francisco Spanish restaurant Aatxe ("Ah-chay"), always has hard-cooked eggs on his tapas menu. This version--with its smoky, creamy filling and crunchy topping of fried chorizo sausage--is especially delicious. Hard-cooked eggs get dolled up with the classic combination of smoked salmon and cream cheese. If you're buying smoked salmon for a special occasion, set aside some for this hors d'oeuvre. This sweet snack utilizes a classic Easter candy to create a fun riff on a classic Easter appetizer. The filling for these “deviled eggs” consists of the Cadbury cream center mixed with cream cheese and freshly whipped cream; pipe the airy mixture back into the hollow chocolate egg halves and dust with fine red “paprika” sprinkles. "I can't have a party without deviled eggs," says Katie Lee, whose cooking often reflects her Southern roots (she was born in West Virginia). Here, she deconstructs the retro hors d'oeuvre, blending hard-boiled eggs with mustard and mayonnaise so it's more like an egg salad that she can spread on toasts. "Simplicity is key," she says. "To me, it's more about tasting the egg than anything else." Chef Stage remembers his mother's deviled eggs, which he updates with vibrant Creole seasonings.